According to the latest census statistics, more than 12% of the U.S. population – or 35 million Americans – are age 65 or older. By the year 2010, this number is expected to surge to over 40 million. The Village of Allouez , Wisconsin , a suburb of Green Bay , is no stranger to this trend. In fact, its sizable elderly population sparked the creation of a program that is devoted specifically to these residents. As the head of the Neighborhood Watch program in the Village of Allouez , that's exactly what Flannery is working to do. In fact, as part of the program, he has launched several secondary programs designed to further inspire community, along with fortifying public safety. One of the most recent additions is Elder Watch. Flannery first conceived of the idea to create the Elder Watch program after observing the increasing population of seniors within the area and the equally increasing need for assistance that this group was requiring. “I noticed that the Brown County Sheriff's Department, which contracts with the Village of Allouez , had been responding to numerous calls from older residents, but, oftentimes, by the time they were able to reach the homes of these individuals, it was too late,” explains Flannery. “In many cases, these elderly residents are homebound and often have little contact with the outside world, so I felt we needed to institute some sort of preventative measure to alleviate as many tragic incidents as possible.” As a result, Flannery assembled an Advisory Committee consisting of various local medical and social service professionals considered experts in issues pertaining to the aged – including a geriatric nurse and the head of an aging and disability resource center – to help flesh out the program. In August 2006, Elder Watch was officially launched. Based on a “neighbor helping neighbor” concept, Elder Watch calls for volunteers to keep in regular contact with elderly resident with whom they are paired. Initially, this contact consists of a weekly phone call to check on the welfare of the elderly individual, or, “consumer” Flannery believes this interaction will eventually develop into more of a social relationship. “Once volunteers and consumers are comfortable with one another, I envision them developing friendships and even visiting together,” explains Flannery, who adds that these decisions will be completely at their discretion. Before they can be considered for the program, however, volunteers are required to undergo a thorough background check and participate in a three-hour training session that is conducted by Advisory Committee members along with representatives from the sheriff's department, fire department, and other public safety offices. In the course of this training, facilitators use a variety of tools, including slideshow presentations, handouts, and question and answer sessions, to instruct participants on topics relevant to caring for elderly individuals. How to recognize abuse and neglect, how to help them maintain and organize their medications effectively, and how best to assist rescue personnel in emergency situations are featured topics. One segment of the training, for instance, suggests helping consumers post a list of medications they are taking on their front door. Doing this, asserts the curriculum, will greatly assist rescue personnel in the event of an emergency. Flannery says the training will be ongoing and volunteers will meet with Advisory Committee members on a monthly basis. Once the program gains momentum, Flannery hopes to offer training to those who come in contact with the elderly through their jobs or volunteer positions, such as mail carriers, grocery store clerks, and Meals on Wheels volunteers. Flannery says he and the Advisory Committee have already distributed to local businesses materials designed to assist them in detecting warning signs of abuse and neglect in elderly customers. A training curriculum for business participants is forthcoming. To promote the program, Flannery has relied on a Neighborhood Watch newsletter that he produces monthly, along with coverage from local media outlets. He hopes ongoing publicity will create enough buzz about the program that it will continue to grow and encourage more volunteers and consumers to participate. Since its launch in August, nine volunteers and 13 consumers have signed up to participate, and they have demonstrated great enthusiasm about their involvement. 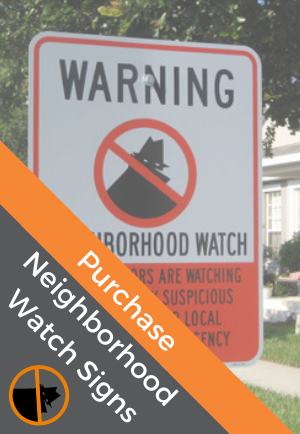 The Elder Watch program serves as an extension of the Village's active Neighborhood Watch program. With a population of roughly 15,000, the Village has 37 Neighborhood Watch groups, with a total membership of 2,100. In conjunction with law enforcement, these groups hold monthly meetings that provide attendees information on crime prevention and current crime statistics, and offer them an opportunity to voice their concerns about neighborhood-related issues.